In sports, the goal is by nature to be competitive, to win, regardless of cost and feelings. See: James, LeBron. If you watch enough sports, you will see these stories countless times. These are the stories that attract negative attention to sports, that convince people of the selfish, narcissistic nature of sports. It’s unfortunate, then, that people all too often fail to see the incredible stories that can also arise out of sports, out of competition. Sports can surely bring out the worst in people in terms of being competitive, but it can also bring out the best in cooperation. Watching the Little League World Series this past week or so, I’ve been reminded of the better side of sports, the pure joy and excitement that comes from the game, but also the cohesion and unity a game can bring. On a bit more serious note than most of my entries, here are four stories of sportsmanship that I’ve found throughout the years that have served as reminders of why I love sports. In 2007, Dalton Carriker and Warner Robbins, GA, were facing Japan in the finals of the Little League World Series. The game was deadlocked in the bottom of the 8th (normally games last 7) when Dalton stepped in against Junsho Kiuchi. 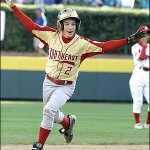 He drilled a 2-1 pitch to the opposite field and gave the USA a third consecutive LLWS title. As he rounded the bases, the cameras caught Kiuchi collapsed on the mound, inconsolable, his teammates in a similar state of shock. After the obligatory celebration, instead of simply gloating in front of the other team, the entire team from Georgia stepped across the diamond and exchanged hugs and words of encouragement with the other team. Chances are you won’t find many professional teams that would do the same just after winning a championship. Here’s a clip of the walk-off home run and the exchange afterwards. Anyone who’s seen the movie We Are Marshall knows this story. Bobby Bowden is known throughout the college football world as one of the seminal leaders of any team, having guided the Florida State Seminoles to 14 consecutive top 5 finishes and two national championships. But his actions in the spring of 1971 speak volumes about the character of the man. After a plane crash killed 37 members of the Marshall University football team in the fall of 1970, the program was devastated. Unable to finish their season, Bowden, at that time the head coach of West Virginia, took the reins in beginning the healing process. He actually petitioned the NCAA to wear Marshall’s uniforms and finish out their season for them, but was denied. When new coach Jack Lengyel began the process of rebuilding his team, he was forced to abandon his hopes of using the Power I formation due to a severe lack of talent. His only option was to use the veer, an option-based offense built for teams with smaller offensive lines. 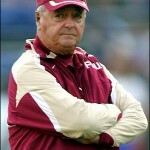 Bowden’s program was one of the few high-level programs to use the offense. Rather than shut out Lengyel, Bowden opened up his film room and gave Marshall’s coaching staff playbooks so they could have even a remote chance to be competitive. He and his staff spent three intensive days and night working with Marshall’s staff, tutoring them in the nuances of the offense. In addition, Bowden put green crosses and MU initials on his players’ helmets as a tribute to the fallen. Lengyel credits Bowden as being a major force in rebuilding a program that itself was a healing force for the Marshall community. 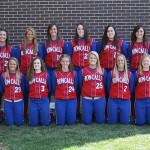 Roncalli High School’s softball team hadn’t lost a game in over two and a half years. Imagine their surprise when they showed up to play Marshall Community, an inner-city school with essentially no sports budget. Most of their girls had never played the sport or understood the fundamentals. One player asked where first base was. Its coaches had to be shown where to stand on the field. It quickly became apparently after an inning and a half that it wouldn’t be much of a game. Roncalli was well ahead and on its way to maintaining its unbeaten streak. Instead, it offered to forfeit the game to avoid humiliating Marshall. Initially, Marshall refused. Though they might be defeated, they’d at least refuse to quit. But they relented when Roncalli offered to spend the next two hours coaching the other team the fundamentals. By the end of the “game,” Marshall had at least gotten a decent crash course on the game. The story, appropriately enough, goes beyond the game. Afterwards, Roncalli JV coach Jeff Traylor asked the parents of his players to donate old equipment, money, resources, whatever they had, to help Marshall’s team get on its feet. They raised $2,500 and the story gathered enough attention that even Reebok and the Cincinnati Reds have stepped in. This is by far my favorite story, so I saved it for last. 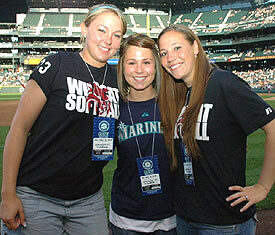 Facing off against rival Central Washington, Western Oregon’s Sara Tucholsky had never hit a home run in her high school or college career. As a senior, it looked like her chances of hitting one were dwindling. With the two teams locked in a tight race for the post-season, she stepped into the box with two runners on. So what happened? Obviously, she crushed a shot over the fence. In her elation, she forgot to touch first. On her way back, she twisted her knee and crumpled to the ground, her ACL torn. In stepped Mallory Holtman, the first baseman for Central Washington and the career HR leader for the Great Northwest Athletic Conference. Incredibly, she asked the umpire whether she could carry Sara around the bases. The umpire consented, and she and Liz Wallace slowly carried her around the bases, slowing down to allow her to touch each base with her good leg. In the end, the home run became the margin of difference in the game, as Western Oregon won 4-2, yet I don’t think their coach was any prouder than that moment. ESPN ran a story about the incident. You can watch it here. If you didn’t notice, most of the stories here come from kids at the high school level or younger, well before the prospects of playing anything professionally become a possibility. Growing up through life is a long journey, but these kids seem to make strides most people can only dream of. A life lesson in a moment. A mile in an inch. Sometimes I wonder if kids teach us as much as we teach them.